Try adding a few drops of your favorite essential oil or extract to enhance your scrub! Soothing lavender, brightening lemongrass or cooling mint add wonderful aromas to these scrubs! Have fun! 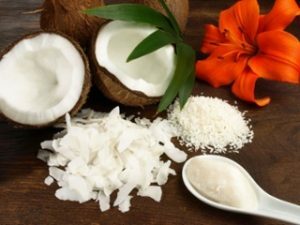 Warm coconut oil gently in a bowl in the microwave or in pot on stove, just until melted. Add 1½ cups sugar to the oil and stir well with fork or whisk. If mixture is thin add up to 1/2 cup extra sugar and mix well.